#MoviesMusicPlaysFilmFestivalsConcerts: Awards: 2015 Film Independent Spirit Awards Winners! Awards: 2015 Film Independent Spirit Awards Winners! Film Independent, the nonprofit arts organization that produces the Spirit Awards, Los Angeles Film Festival and Film Independent at LACMA, handed out top honors to Birdman or (The Unexpected Virtue of Ignorance), Boyhood, Whiplash and Nightcrawler at yesterday afternoon’s 30th Film Independent Spirit Awards. Still Alice, Dear White People, Ida, Land Ho! and CITIZENFOUR also received awards at the ceremony, which was held in a tent on the beach in Santa Monica. Inherent Vice received the Robert Altman Award and Foxcatcher received a Special Distinction Award. In addition to being the celebration that honors artist-driven films made with an economy of means by filmmakers whose films embody independence and originality, the Spirit Awards is the primary fundraiser for Film Independent’s year-round programs. Over the past 30 years, the Film Independent Spirit Awards has made a name for itself as the premiere awards show for the independent film community. Artists who have received industry recognition first at the Spirit Awards include Joel and Ethan Coen, Spike Lee, Oliver Stone, Ashley Judd, Robert Rodriguez, David O. Russell, Edward Burns, Aaron Eckhart, Neil LaBute, Darren Aronofsky, Spike Jonze, Charlie Kaufman, Hilary Swank, Marc Forster, Todd Field, Christopher Nolan, Zach Braff, Amy Adams, Lena Dunham and many more. 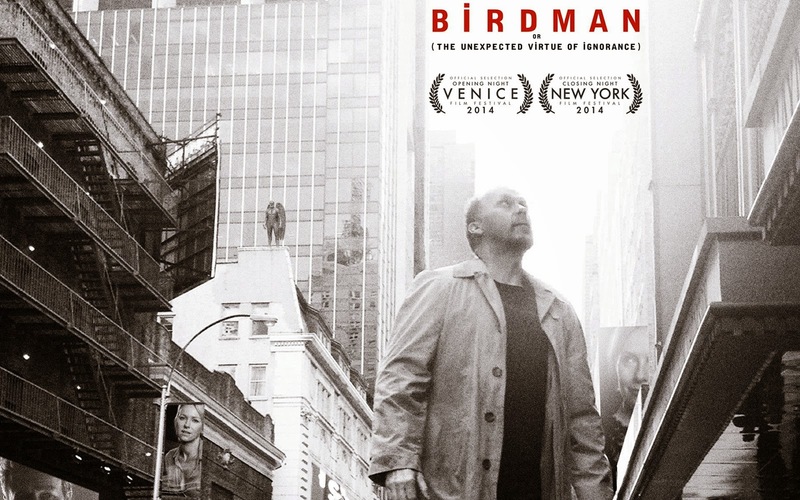 This year’s major category winners were Birdman or (The Unexpected Virtue of Ignorance); which won Best Feature, Best Male Lead and Best Cinematography, Boyhood; which won Best Director and Best Supporting Female, Nightcrawler; which won Best First Feature and Best Screenplay and Whiplash; which won Best Supporting Male and Best Editing; Still Alice, which won Best Female Lead;Dear White People, which won Best First Screenplay; Land Ho!, which won the John Cassavetes Award; Ida, which won Best International Film and CITIZENFOUR, which won Best Documentary. The 8th annual Robert Altman Award was given to one film’s director, casting director and ensemble cast. Paul Thomas Anderson’s Inherent Vice received this award, along with casting director Cassandra Kulukundis and ensemble cast members Josh Brolin, Hong Chau, Martin Donovan, Jena Malone, Joanna Newsom, Joaquin Phoenix, Sasha Pieterse, Eric Roberts, Maya Rudolph, Martin Short, Serena Scott Thomas, Benicio del Toro, Katherine Waterston, Owen Wilson, Reese Witherspoon and Michael Kenneth Williams. The Special Distinction Award, given to a film for its uniqueness of vision, honesty of direction and screenwriting, superb acting and overall filmmaking achievement, was given to Foxcatcher. The award was given to director/producer Bennett Miller, producers Anthony Bregman, Megan Ellison, Jon Kilik, writers E. Max Frye, Dan Futterman, actors Steve Carell, Mark Ruffalo, Channing Tatum. The 2015 Roger and Chaz Ebert Foundation Fellowship which includes a cash grant of $10,000 was awarded to Christina Choe. This annual award is given to a filmmaker currently participating in a Film Independent Artist Development program with the mission of diversity in mind. Choe, a participant in the 2015 Directing Lab, is currently in active pre-production on her first narrative feature film, Nancy. The Film Independent Spirit Awards are sponsored by Premier Sponsors Piaget, The Lincoln Motor Company, Bank of America, Heineken, American Airlines and IFC. T-Mobile® is the Official Arrivals Show Sponsor, Sauza 901 Tequila is the Official Spirit and FIJI Water is the Official Water of the 2015 Spirit Awards. WireImage is the Official Photographer of Film Independent. The production team for this year’s Spirit Awards includes executive producer and director Joel Gallen, producers Shawn Davis and Rick Austin. Director: Paul Thomas Anderson, Casting Director: Cassandra Kulukundis, Ensemble Cast: Josh Brolin, Hong Chau, Martin Donovan, Jena Malone, Joanna Newsom, Joaquin Phoenix, Sasha Pieterse, Eric Roberts, Maya Rudolph, Martin Short, Serena Scott Thomas, Benicio del Toro, Katherine Waterston, Owen Wilson, Reese Witherspoon, Michael Kenneth Williams. For more information or to become a member, visit filmindependent.org.